Australian No.1 Ash Barty enjoys singles and doubles success on day three of the Coupe Rogers in Montreal. Australian No.1 Ashleigh Barty moved into the third round of the Coupe Rogers in Montreal with victory over Belgium’s Alison Van Uytvanck. World No.16 Barty, who is seeded 15, prevailed 7-6(7) 6-2 over Van Uytvanck, who beat defending champion Garbine Muguruza at Wimbledon last month. 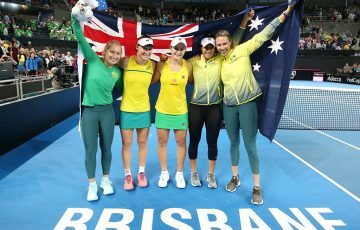 Ranked 42 in the world, Van Uytvanck spurned two set points in the opening set, before Barty closed out a tense tiebreak. Boosted by that, the Queenslander broke the Belgian three times in the second set to close out the win in just over an hour and 20 minutes. 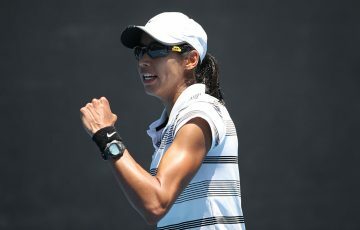 She will now face unseeded French former world No.11 Alize Cornet, who stunned Wimbledon champion Angelique Kerber 6-4 6-1. 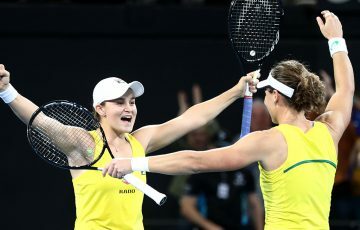 The win was Cornet’s 17th over a top-10 opponent and sets her up for a second meeting with Barty, whom she beat in the opening round of the 2014 French Open. 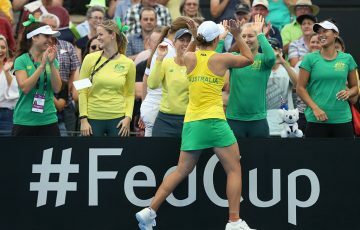 Barty enjoyed more success on Wednesday as she teamed up with Demi Schuurs of the Netherlands to beat Bethanie Mattek-Sands and Lucie Safarova 6-2 7-5 in the first round of the doubles.